Computer science is the study of how to manipulate, manage, transform and encode information. There are many different areas in computer science. Some of the areas consider problems in an abstract way. Some areas need special machines, called computers. A person who works with computers will often need mathematics, science, and logic in order to make and use computers. Algorithms are complicated steps of instructions describing how to complete a task, such as solving a problem. Think about playing cards, for example. A computer scientist wants to sort the cards. First he wants to sort them out by color. Then he wants to order them by number (2, 3, 4, 5, 6, 7, 8, 9, 10, Jack, Queen, King, and Ace). The computer scientist may see different ways to sort the playing cards. He must now think about how he will do it. When he decides, he has created an algorithm. After making the algorithm, the scientist needs to test whether the algorithm always does what it should. Then, the scientist can see how well his program sorts the cards. A simple but very slow algorithm could be: drop the cards, pick them up, and check whether they are sorted. If they are not, do it again. This method will work, but it will often take a very long time. A person may do this better by looking through all the cards, finding the first card (2 of diamonds), and putting it at the start. After this, he looks for the second card, and so on. This works much faster, and does not need much space. This sorting algorithm is a selection sort. Computer science began during World War II and separated from the other sciences during the 1960s and 1970s. Now, computer science uses special methods of doing things, and has its own special words. It is related to electrical engineering, mathematics, and language science. Computer science looks at the theoretical parts of computers. Computer engineering looks at the physical parts of computers (hardware), and software engineering looks at the use of computer programs and how to make them. 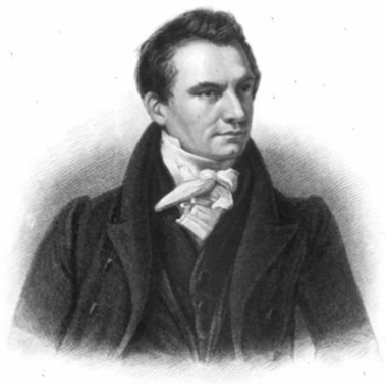 Charles Babbage is sometimes referred as "father of computing". Computer science Facts for Kids. Kiddle Encyclopedia.